Innovation is our forte and we strive to design and develop a precision-engineered range of Batch Type Forge Furnace. Manufactured using high-grade raw material, these furnaces can withstand high temperatures with non-metallic heating elements. 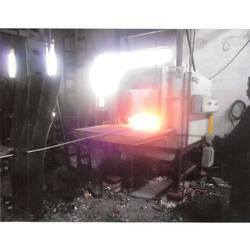 We manufacture of oil/gas fired continuous type and batch type forging furnace for close die forging plants and open forging. Our furnaces are robust in construction and more durable design is based on revelatory are without impalement of flame with stack and furnace wall results less burning loss, less oil consumption and more life of refractory. 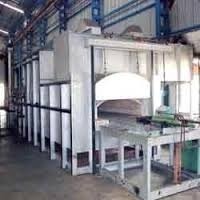 We are offering excellent quality Pusher/Batch Type Forging Furnaces which are very popular in the market and are largely used for ferrous and non ferrous forgings. Our forging furnaces are designed from effective technology and they use the best mix burner.